Roscommon, MI – When renowned golf course architect Tom Doak set out to create a unique design that would impress Forest Dunes owner Lew Thompson, he wasn’t sure if his dream of creating an 18-hole reversible golf course would be what Thompson wanted. Thompson recalled the moment during a meeting in 2015 when Doak unveiled routings for two different golf courses. “I said Tom, let’s just build one and see how it goes before we build two. Thompson said Doak then picked up another map and unrolled it next to the first one. Thompson was impressed especially when Doak indicated he had spent 30 years on the dream idea and drawings. The Loop opened in 2017 to rave reviews across the industry. Golf Digest named it the Best New Public Course, and GOLF Magazine named it the Best New U.S. Course You Can Play. Ron Whitten, Golf Digest’s Architecture Editor, wrote that the new 18-holes functioned as 36. “Without ever posing the sensation of playing the wrong way down a fairway,” he reported. A one-of-a-kind golf event where you can play a course forwards and backwards on the same-day. Really! With the Loop’s normal rotation of alternating routings on a daily basis (Red on even dates and Black on odd dates in 2018) there are three months (May, July, August) with 31-days where the even/odd schedule does not work. In essence the calendar has created an opportunity for Forest Dunes to create a special event on the 31st day of each of those months. The Dual days will feature a two-person best-ball team event, where golfers play one direction (course) in the morning, then play the other direction (course) in the afternoon for a 36-hole one-day experience. The three one-day events are open to all levels of players with a registered GHIN handicap and will award both Net and Gross champions. Lunch and dinner are included at a cost of between $225 and $275 per person. Visit https://www.forestdunesgolf.com/golf/book-a-tee-time/golf-events for more information. Golfers building a stay-and-play golf package at Forest Dunes can experience a 54-hole package unlike any other with The Loop and Forest Dunes courses. Simply combine a lodging rate with the golf rates. Lodging options include the Lake AuSable Lodge, golf cottages, or the new golf villas. Rates can range depending on the time of the season from $59 to $149 per person. Golf rates on the original Forest Dunes course and The Loop course, depending on the time of season, range from $85 to $160. In addition, Forest Dunes is providing a tribute rate during the summer months on Mondays, Tuesdays, and Wednesdays on both courses for $85 for ladies, military and first responders as well as qualifying seniors age 55-and-over. 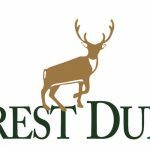 Nestled on 1,300 acres of heavily wooded land within the Huron National Forest, Forest Dunes has become one of the country’s premier golf experiences. In this pristine setting Tom Weiskopf designed one of his top layouts featuring rugged native dunes, scruffy sand areas and water features. The course has been consistently ranked among the best courses by the leading golf publications. Golf Digest, which ranked its original Weiskopf course the Best New Course in the Country when it opened in 2002, currently ranks it No. 23 among its top public courses, and GOLF Magazine and Golfweek have also ranked it among their Top 100 courses. The unique and reversible Tom Doak design, The Loop, adds a second/third Best New Course to the golf experience at Forest Dunes. In addition, the property features the beautiful Adirondack style Clubhouse with Sangomore’s restaurant, Lake AuSable Lodge with 14-rooms, new golf villas, and cottages. For more visit www.forestdunesgolf.com or follow them on Twitter @forestdunesgolf.